Hey guys & gals! I hope you aren’t getting “sweet-overloaded” out there… LOL! Did you all enjoy the eye candy photos of the Bizarre Love Triangle Brownies? Have you voted on your favorite dish yet? If not… head over to Foodie Fights and then come back here to enjoy these spicilious muffins! As you can see… my hubby and girls were having fun teasing me while I was trying to take pictures. These muffins were so spicy and full of yummy goodness! They were a big hit and great with breakfast smoothies, but you can use these for dessert too! These guys are so easy to make and you can create almost any kind of flavor you want. 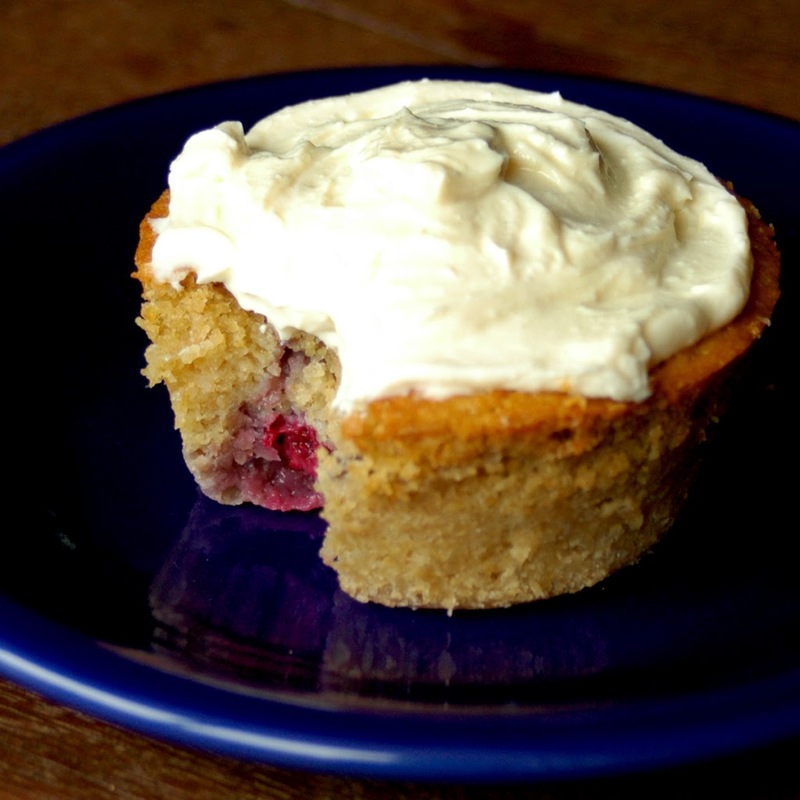 I really enjoy muffins because you can keep a basic recipe and than add on to it with your own variety of spices, fruits and flavor… such as this one: mango, blackberries & ginger. As usual I soaked the flour for 24 hours with kefir, but you can substitute kefir with water and 2 tablespoons of whey, lemon juice or vinegar if you have milk allergies or don’t have access to cultured dairy. If you are wondering why I like to soak the flour… please read on here. I have been enjoying using Hard White Wheat for my baking as it holds up well, but still leaves a great texture! I usually prefer Spelt, but we weren’t able to order any (out of stock) while in the States back in July… boo hoo, but it has been fun using the Hard White instead. Now, that white creamy stuff on top is only three ingredients… pinch of sea salt, raw honey & my homemade cream cheese. So good and wonderful with these muffins, but we also enjoy it with Banana Bread and crepes (recipe coming soon!). I love how easy it is to make! These recipes were adapted from my Nourishing Traditions book. Soak Flour in cultured dairy in a warm place for 12 to 24 hours. Muffins will rise better if soaked for 24 hours. Blend in the rest of the ingredients. Pour into well-oiled muffin tins (I used individual glass custard cups), filling it about 3/4s full. Add a couple blackberries and mangos in each cup. Press down lightly till partially covered. Bake at 325 F for about 1 hour or til toothpick comes out clean. 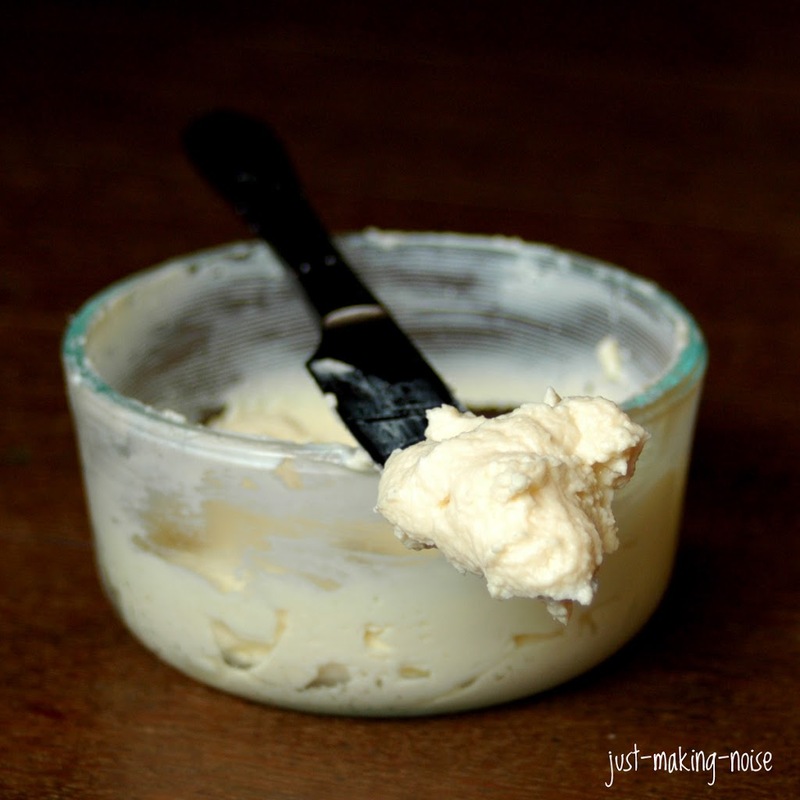 Whip together the cheese, honey & sea salt in a food processor or blender. Store in an air-tight container. Okay… I really want to start inviting at least one blogger a month to be my guest on Sweet Wholesome Wednesday. If you are interested… PLEASE let me know! I would like to start this month. Another thing I would love to try doing is creating a community on SWW where people submit their sweet treats every Wednesday and I will highlight a few out of the bunch to share. It can be a old post or new post… whichever you want to do as long as you follow these basic rules. Let me know what you think and if you have tips or advise… please share them with me! Thank you! Those muffins are gorgeous and wholesome. This is a must-try recipe. I would love to participate. Probably my only concern is some lack of ingredients here in the Philippines. I am fascinated by the use of those ingredients that you’ve mentioned. I’ve been interested whole, real, traditional ingredients even before. Although some are available, the others are hard to find. I would also like to be a guess blogger on your blog. I guess it can be worked out. Thank you Divina! Please do participate! 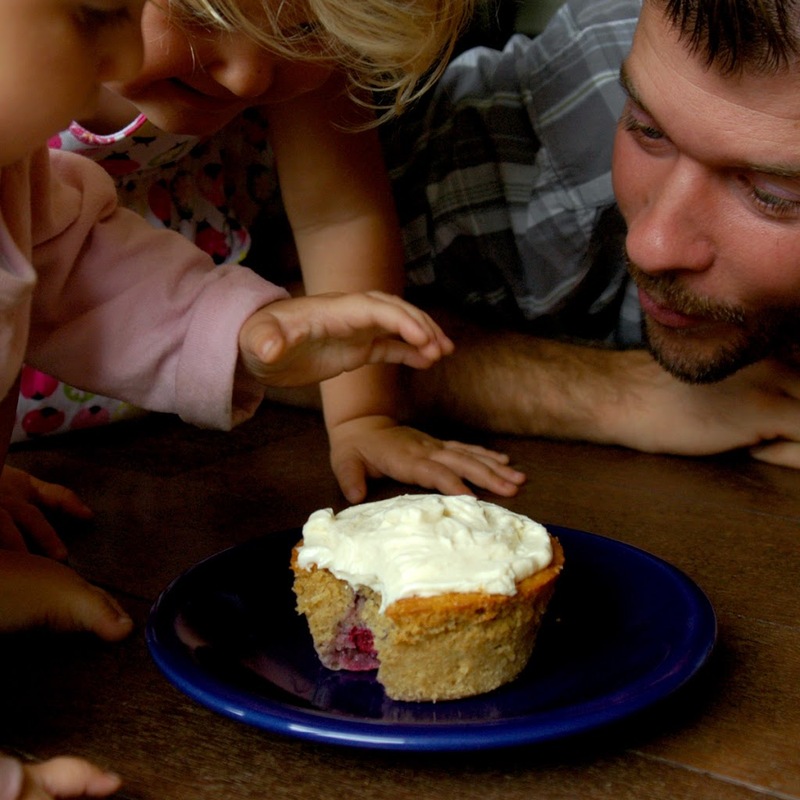 You can create or share a recipe using wholesome ingredients… whatever you have in hand. I can’t find a lot of things here, but I do the best I can with what I have. I’m sure you can come up with simple & fun recipes using what you have. Would you like to be my first guess blogger? Wow, awesome recipe you have here, Marillyn. You always came out something wonderful & wholesome good. I’m not sure if I can do that and participate in this! BUT..I’ll try to send over the sweet posting. Is that alright to you? he he….You have fun! Cheers. oh i just saw your “bizarre love triangle” brownies and they look amazing! i went and voted for ya! i would be into joining a SWW blog carnival for sure! Kristy – Do what you can as long as it is wholesome… try it out!! i would love to have you as a guest too :o) Thank you for your sweet comment about the muffins!! Emily – GREAT!! So glad you will be joining in for the carnival… would you also be interested as a guest too? Thank you for voting for me at Foodie Fights! This is yet another amazing treat! Thanks for sharing – and I love the first picture of your family! Looks like they were really excited about these muffins too. Hello Mare, I would love to do this. But when in October? Divina – How about October 28th? The last Wednesday of the month? Please email me personally if you have any questions! Also, please send me your post by Monday the 26th so I can get it ready to post on Wednesday. Okay? what a great idea, I’m looking forward to reading what guest bloggers come up with. Jessie – Thanks!! Would you be interested in being a guest too? I know that this comment comes WAY later than the post date. I am excited/nervous/anxious to see and taste the outcome. The reason I am anxious is that my batter was VERY runny and liquidy..not sure if that is typical…My cream cheese frosting is in the fridge…and I can’t wait to let my daughter dig into these…Will keep you posted on how it turns out! So I finally tried them. I’d give it a 6/10 because maybe I goofed up somewhere. The cake didn’t rise much. I used 1/2 the qty since I was trying the first time. I took it out of the oven after 40 mins. I could have let it be there for another 4-5 mins. Plus my muffins and cake didn’t rise so I am wondering if it was because I waited for 5 mins before I put them in the oven and the baking soda effect was lost? Not sure…but they were still at 3/4th full in the cups. I like the taste, you can’t tell the spelt at all. Which is great. I just did mango-ginger and not blackberries..since the batter was rather runny and liquid really. Any thoughts on if any of this might have made it just ok? Hello speed! Sorry I have not been able to reply to your comments. I have limited access to internet and little time for it right now. Hopefully that will change soon. Anyway, about the muffins… I cannot recommend any GF flours because I have not experientment with that. Yes, it is normal for the batter to be runny and liquidy. However, because you used mangos… the muffins won’t rise as much because of it’s wetness, but you can change that by adding a little more baking soda or another egg if you want it to rise more. I have made this recipe many times with great success with different fruits and flavors. Hope this helps and hope you will continue to try out the recipes! Thank you for your comments! Can I use amaranth or quinoa flour to make the muffins? Robert, I honestly do not know as I’ve never used either flours for baking before. I’m sure if you have a basic muffin recipe that calls for either flour… you can simply add in the flavors and fruits. Have a great New Year!